Afghanistan was once a flourishing country with beautiful cities and plenty of food and water but geographical constraints, climate change and decades of war have decimated much of the country. With rivers running dry and temperatures increasing water has reached a critical shortage. Ghayor Waziri has this report from Kabul. I’m at the base of the Paghman mountains, where the Kabul River flows. Just 30 years ago the river was full of water, irrigating the farms and villages of Kabul province. The land was green and lush, and water was plentiful. 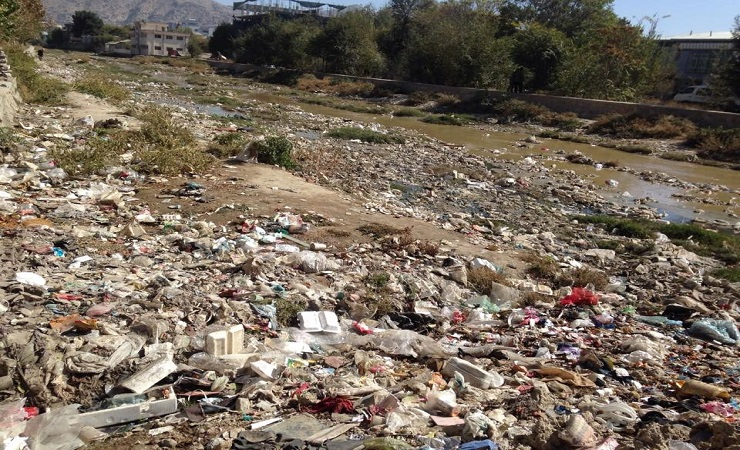 “Kabul river was a very nice river and full of clean water before. When I was about 20 years old, during the hot weather I would go and swim in the river,” remembers resident Muhammad Yusuf Qadiri. But now the river is dry, most of the farms have gone and houses have taken their place. Muhammad Yusuf has lived here since he was a boy. He says he’s never seen anything like it. The river has almost all dried up now. It’s just a dry bed filled with garbage. The only time water flows is the two months a year when it rains. 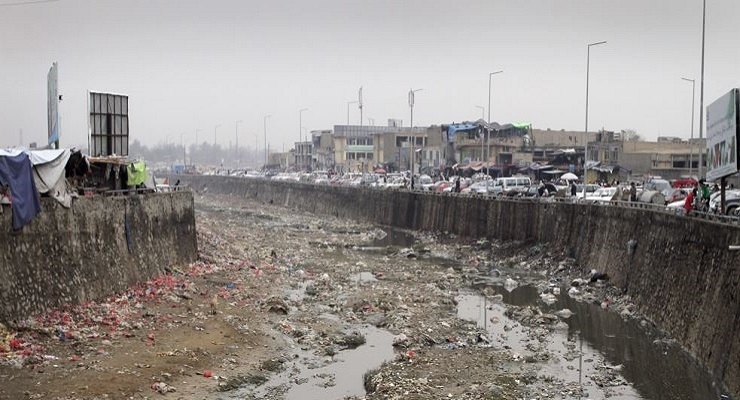 “Before the water would come as high as the street, but now, due to climate change, the water level has dropped and garbage has taken its place,” says Muhammad. Because of this climate change, mountain snow melts earlier and earlier every year, and Afghanistan has no reservoirs to store this early runoff. By the time the summer heat arrives the water’s gone - just when it’s needed most. With less water drought is increasing and there are fears half of the country’s wells will soon dry up. Kazem Hamayun is chief of planning in Afghanistan’s Environment Department. “After 1965 Afghanistan was faced with climate change but during the past few years the changing climate has become more intense and there is more damage to the environment,” he says. “For example, last year there was less rain and before, there would often be snow on the top of the mountains, even during summer,” Hamayun tells me. Six million people live in Kabul and 80% of them lack access to safe drinking water. And 95% lack access to improved sanitation facilities. With hardly any clean water flowing down from the mountains, people have been seeking out water from underground sources instead. But, now, even that water is polluted. Afghanistan has no wastewater management system. Most people use septic tanks and the sewerage and other wastewater leaks, contaminating the wells that people drink from. 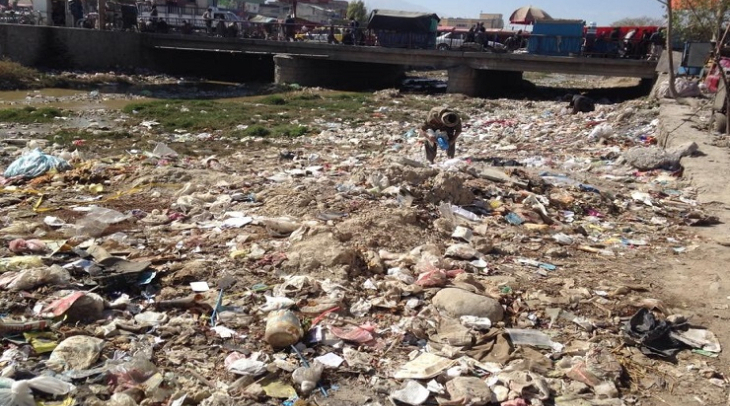 The contamination, the garbage, decades of war, and chronic poverty, it is one problem on top of another in Kabul. 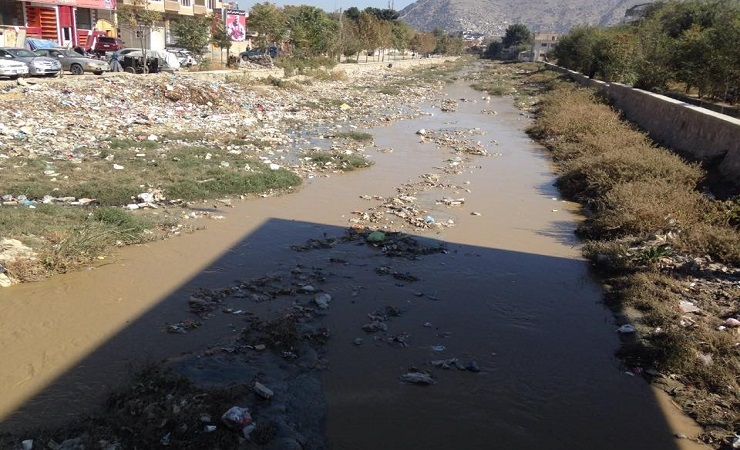 The head of city’s water department – Hameedulla Yalani – says most of Kabul’s underground water sources are polluted. “Unfortunately because of climate change people have been forced to use underground water, digging their own wells, in an unprofessional way. It damages the underground sources of water and on the other hand, it also drains the Kabul River dry,” Yalani explained. Research shows that 25% of deaths among Afghan children under 5 are due to diarrhoea caused by contaminated water and poor sanitation. Muhammad Dawood is a resident of Kabul, and he remembers when the air in Kabul was clear and clean. “It wasn’t polluted. It was colder than it is now, and it would rain more too. Now it is polluted and it affects people’s lives. It’s harder to breath, and there has been an increase in other health complications, and birth deformities have increased,” Dawood said. The rapid rise in Kabul’s population is another reason why the quality of water has dropped so drastically. The more people there are, the more resources they consume. 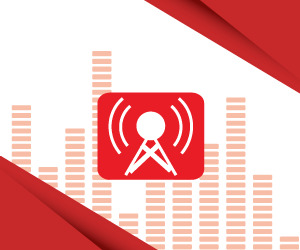 Back at the Environment Department, Kazem Hamayun, fears that impacts of climate change will make the country more vulnerable to natural disasters in the future. “The water sources of Afghanistan have decreased about 40 percent, and they have dropped very rapidly,” Hamayun said. Hamayun says there are positive steps globally, like the United Nations Framework on Climate Change and the signing of the Paris Agreement. But it’s going to take a long time for Afghanistan to recover from the damage that’s already been done. And we may never see the lush, green land of Muhammad Yusuf Qadiri’s youth again.